was born in Brussels, Belgium on April, 29 1922. He played accordion at the age of 3 and started playing harmonica as a hobby. His first guitar, won on a bet. During the German occupation he got hooked on Jazz or as he says himself, “contaminated” by the jazz virus. His first idol was Django Reinhardt and very early he was influenced by Charlie Parker. He got his nickname “Toots” after Toots Mondello and Toots Camarata. First international break through was when he joined Benny Goodman on an European Concert tour in 1950. Immigrating to the USA in 1952, he became a member of the Charlie Parker’s All Stars in Philadelphia and worked for 6 years with the George Shearing Quintet. Toots originated a new sound by whistling and playing the guitar in unisono which he did for commercials. The best known is “Old Spice”. In 1962 he composed “ Bluesette”. He was asked as harmonica soloist for many filmscores such as, Midnight Cowboy, The Getaway, Sugarland Express, Cinderella Liberty, Turks Fruit, Jean de Florette… Toots played concerts and made recordings with musicians like George Shearing, Ella Fitzgerald, Quincy Jones, Bill Evans, Jaco Pastorius, Natalie Cole, Pat Metheny, Paul Simon, Billy Joel… You can hear him as a soloist on the TV theme of Sesame Street. Until two years ago he was the perennial winner of Down Beat readers and critics poll in the category “miscellaneous instruments”. 2001- The King of Belgium, Albert II the King honored him with the title “ Baron”. That same year he received the title Professor Honoris Causa at the 2 universities of Brussels, Belgium. Also receiving from Gilberto Gill in 2006 the title “Comendador da Ordem do Rio Branco”, a very high distinction in Brasil. 2008- The National Endowment for the Arts honored him with the NEA 2009 Jazz Master Award, the highest distinction for a Jazz musician in the USA. 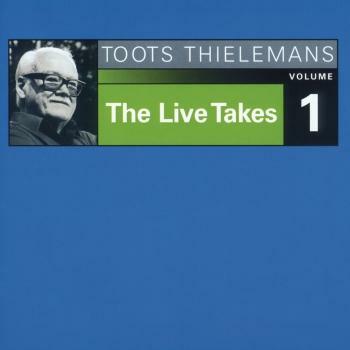 2009- Toots received the Amsterdam Concertgebouw Jazz Award in The Netherlands. His favorite compliment is from the late Clifford Brown “Toots, the way you play the harmonica they should not call it a miscellaneous instrument”.